IT’S GIVING TUESDAY, and we hope you will support Team Summer today…especially because all donations* will be matched dollar for dollar up to $5,000!! Can you help us reach our goal? Today, as your contribution doubles in value, remember that every Team Summer gift has double the impact, too! When a gift is given, there are TWO kids with cancer who are helped – the child getting the gift and the child giving the gift. Obviously getting a gift is awesome, but our Team Summer kids tell us giving a gift is even better! Helping someone else takes their minds off their own cancer battles and gives them a sense of purpose at a time when so much is out of their control. 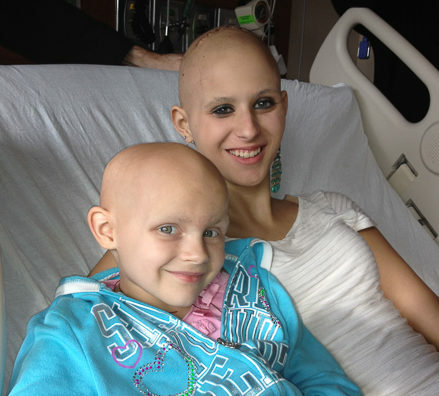 Make a real difference in the lives of kids battling cancer by supporting Team Summer today! Your $50 contribution turns into $100; $100 into $200! Click to donate! *Team Summer is a 501(c)(3) nonprofit organization. All contributions are tax deductible to the full extent of the law.